No author for you today, besides me. I just wanted to let you know that the book I contributed to, Sweet Freedom, is now out in paperback. If you missed the post talking about that book you can click here. If you would like to purchase the book for your Kindle click here. If you would like to purchase a paperback copy click here. I can still send you the PDF for free. Just leave a comment letting me know you would like it and I will send it to your email address. This book is a wonderful example of a Genesis 5020 story. It begins with something that the enemy could use to harm Crockett Archer and it ends with how God intended it for good. I can’t tell you how, you will have to read the book to find out. I really enjoyed this book. I loved Joanna’s desire to see her father come to know Jesus and Karen Witemeyer did a fabulous job working that into the story. The romance between Joanna and Crockett is beautiful and will have your heart thumping in anticipation for that first kiss. When will it happen? The only thing I didn’t like about the book was all the winking. I don’t have a problem with a well placed wink, I think they can be very effective. My issue was that a lot of characters were winking and it started to seem overdone. It got to the point that I cringed every time I read about another wink. But this didn’t take away from the story overall, just my little pet-peeve and something I would’ve edited out of the book to make the winks more meaningful. As I said, overall I really like this book and I can’t wait to read more by Karen Witemeyer, she is a very talented author who knows how to develop a great story. You can grab your copy at your local book store, Amazon, Barnes and Noble, Christianbook.com, Deeper Shopping (view their fiction page here) or the publisher. You can visit Karen’s website by clicking here. A copy of this book was given to me by Bethany House Publishers in exchange for an honest review. The other morning I was sitting outside trying to pray. I sensed God tell me to close my eyes and listen to the birds. So I did. I have taken a new interest in birds, I even have a bird feeder in my yard that we finally have gotten the squirrels to stay out of. I love seeing the birds fly around but my favorite thing to see is when they take the time to stop and eat at my bird feeder. Anyway, I closed my eyes and I heard the birds. Together they made a beautiful melody even though they were singing many different songs. I could pick different songs out but I could also enjoy the sound of there songs blending together to make a beautiful melody. God whispered to me this is what He hears when his children pray. He hears us all and it is a beautiful melody to Him, but He can also hear us as individuals. Just like the birds when they land on the bird feeder they stop singing and enjoy the food. That is what God wants from us; to land on Him, rest in Him, in His embrace, stop talking and rest, and listen. Resting, and listening to Him are His favorite parts. I have learned from the birds and their melody, God does indeed hear all of our prayers, our cries, or moans and our complaints. They make a beautiful melody up in Heaven. And just as I love when my birds come and eat at my bird feeder my Heavenly Father loves it when I come and taste and see His goodness and simply rest in Him. Yes, it is a beautiful melody. I have two favorite birds. My all time favorite is the cardinal, I love their technicolor red, but I also love the blue jay, even though they are mean. Their tail feathers are amazing, only God could create that mosaic. What about you, what is your favorite bird? Today we get write to the point with Sherrie Ashcraft and Christian Berry Tarabochia. Actually, you will be hearing Sherrie’s Genesis 5020. She talks about a subject that I think many Christians deal with, yet many don’t want to admit. 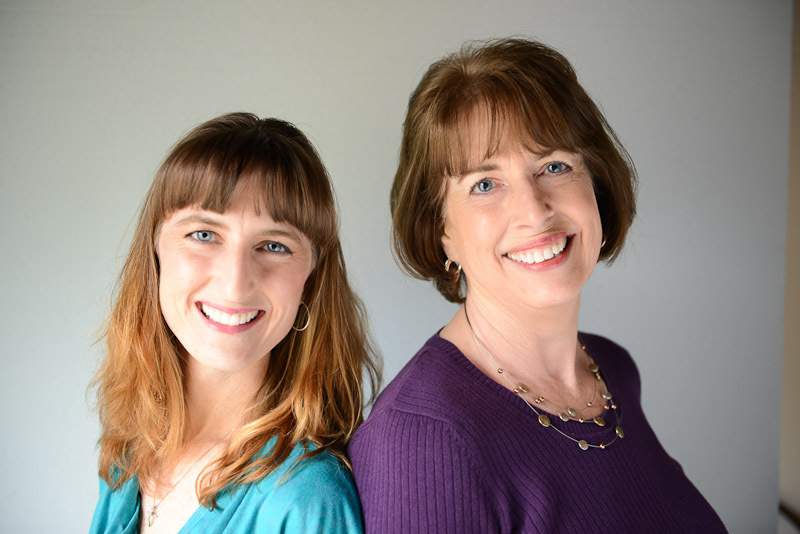 At the end of her post keep reading to learn more about this mother/daughter team of writers and enter to win an ebook copy of On the Threshold. Those were dark days back then. A heaviness settled over my spirit in a way I’d never experienced before. Oh sure, there had been scattered days here and there where I felt “blue” or “down in the dumps,” but never anything like this. Months passed, but my depression didn’t. It gradually deepened, coloring my life gray, spreading the dullness from the inside out. I looked around, trying to figure out the cause of my problem. And you know what I found? Nothing! Anyone looking at me would think my life was very good. I had a husband who loved me. A fulfilling job. Grown children who had blessed me with grand children. We owned our own house. Money, though not in abundance, was certainly sufficient. No health problems. Involvement in the church my husband pastored. Obviously, I had nothing to complain about. My circumstances left nothing to be desired, yet the sense of despair only got worse. Have you ever been there? If so, you know what doesn’t work. No husband telling you to “just decide to be happy” can change the feeling. No friends bringing by plates of cookies, hoping to cheer you up. (Chocolate really can’t fix everything!) Not even people saying, “Oh, I’ll pray for you.” No, when depression hits, the solution isn’t easy to find. The dark days, though the sky was often sunny, continued. I experienced a profound sense of loss—loss of joy, loss of purpose, loss of feelings, loss of humor, loss of reasons to continue with life. Even the seeming loss of my relationship with the Lord. I didn’t have a definite plan, but suicide began to sound like an option. I knew I would never be happy again and I had no desire to continue with life the way it was. Thankfully, I was open to Christian counseling. Having an unbiased person listen to me, ask me questions, and challenge me to a lot of soul-searching and self-evaluation proved to be my answer. It certainly wasn’t an overnight change, but I gradually began the long journey back to “normal.” I discovered I’d inadvertently bought into the idea that I had to jump through hoops to please God, and I was tired of jumping! This journey became a spiritual rebirth for me (though I had accepted Christ when I was five years old) and my walk with the Lord became based on grace rather than on performance. That was about fifteen years ago, and it’s an experience I’ll never forget. I know that Satan wanted to sift me like wheat (Luke 22:31) to show I was only full of impurities and worthless to God. But the Lord allowed that sifting to show that yes, there were attitudes that needed removed from my life, but it was in order to take me to a deeper level in my Christian walk and for Him to use me more in the lives of others. Because of my journey through depression, I’ve been able to relate to a lot of women who struggle with that issue themselves. As I freely share about what it was like, women lose their fear of admitting they have this problem. Not only have I used it one-on-one with women, but I was also able to draw on my experience when I wrote my recently released novel, On the Threshold. One of the issues covered in the story is a woman who deals with life-threatening depression. The feelings she goes through in the book are based not on “I wonder what it would be like?” but are the nitty-gritty authenticity of one who has been there, done that, and lived to tell about it! God has been able to use one of the hardest times of my life to change me, and in turn, encourage others. I don’t know what difficulty God is allowing in your life right now, but rest assured that it’s not by chance or happenstance. There is a purpose behind the pain, and the Lord is in the business of taking what was meant for evil, and changing into something for His good. Tells us a about both of you? Thanks so much ladies. I pray God will bless your writing journey. 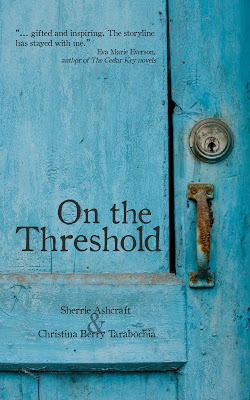 Readers, leave a comment for Sherrie and Christina by July 30th at 5:00 PM to be entered to win an ebook copy of On the Threshold. I always enjoy reading Biblical fiction and this book was no exception. 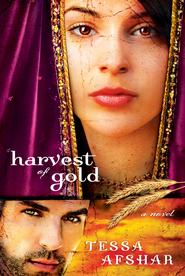 I have wanted to read something by Tessa for a while now but just haven’t gotten around to it, but I am glad I finally did with Harvest of Gold. Sarah, the main female character, drew me immediately. She is a smart woman who loves her husband but doesn’t push him to confess the same love. Darius, Sarah’s husband, holds back from loving his wife, although it is obvious he does but something is keeping him from fully letting her into his heart. That alone will keep you turning pages. The story of Nehemiah is worked into the book as well. I recently heard a message on Nehemiah so hearing the story again from a fictional standpoint was interesting. His complete faith and trust in God is something we should all strive for. A great read for anyone who enjoys Biblical fiction. Leave a comment and let me know you would like to win a copy by July 28th at 5:00 PM (U.S. residents only). I know a woman who was once married then divorced and now remarried to a different man. She retained her first husband’s last name and then hyphenated her new husbands last name. I will not use the woman’s real name but an example might be: Mary Smith-Jones. What I find intriguing is she hates her ex-husband. She is very bitter and has not forgiven him for many things he did. So I wondered why did she keep his last name when she remarried? I am sure she has her reasons but I’m not bold enough to ask. As I thought about this I realized I have done the same thing throughout my life. Not literally with last names, but with names I labeled myself with. Before I knew Christ, I was Melissa Abused. When I became a Christian I thought I was completely and totally healed from my past abuse, yet I never sought God’s healing. Even though I was a child of God and was given a new name I held on to my old name. I became Melissa Abused-Saved. Not very encouraging, is it? The Lover of my soul must have been jealous. I wonder how many times He tried to tell me I no longer needed to retain that name. Why would I want to hold on to it? Maybe so I would have a reason to be bitter, angry and to complain? Because I never dealt with my abuse and the wounds that my abuse caused in my life, I traveled a deadly path, one that lead to an adulterous affair. Not until I hit rock bottom did I realize I was clinging to my old name and just tagged “saved” at the end. I now had a choice to make as I clawed my way out of the darkness that threatened to take over my life. Would I now become Melissa Abused-Saved-Adulteress-Forgiven, but never really allow God to forgive me and carry around the weight of the name adulteress? After a lot of counseling I realized I have been renamed in Christ. I get so excited at the thought that my Savior has a new name picked out for me, one that only I will understand. I can almost feel the white stone in my hand, the smoothness slipping between my fingers. I suppose I do still hyphenate my name but the names are much different. I am now Melissa Saved-Forgiven-Redeemed-Loved-Daughter of the King. What about you? What is your hyphenated name? Do you have any names you need to shed? Release them into your Father’s care, He has a new name waiting just for you. Here’s a great song by Matthew West that goes beautifully with this post, click here. If you haven’t seen the video it is awesome. Are you willing to share your name(s) with us? What was your name before knowing Christ or having the relationship with Him you have now? What is your name now? Embrace the truth of this new name. Share it in the comments. Today we get write to the point with author Amber Stockton. She is sharing a great Genesis 5020 with you, so take the time to read it and be blessed. She also has a giveaway for you at the end. 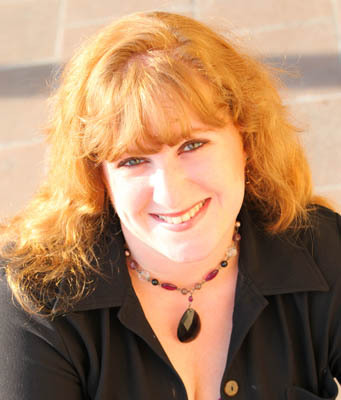 Tiffany Amber Stockton has been crafting and embellishing stories since childhood. Today, she is an award-winning best-selling author, speaker, and virtual assistant who lives with her husband and fellow author, Stuart Vaughn Stockton, in Colorado. They have a daughter and a son, and an Aussie/retriever mix named Roxie. She has sold 14 books so far and is represented by Sandra Bishop of MacGregor Literary Agency. Three of her novels have won annual reader’s choice awards, and in 2009, she was voted #1 favorite new author for Barbour’s Heartsong Presents book club. Read more about her at her web site: www.amberstockton.com. Hi! My name is Tiffany Amber Stockton, but I publish under Amber Stockton and most folks call me “Tiff.” You can read the pertinent stuff about me in my bio and discover even more little tidbits on my web site. What you won’t find in either of those places is my penchant for suffering from the proverbial “foot-in-mouth” disease or the revelation of my love for talking. Most times, the embarrassing things I say can be laughed away or forgotten fairly easily, but there are some instances when I’m misheard, misinterpreted, or misrepresented. This will likely come as a surprise to many who know me, but for the past fifteen years, I’ve struggled with feelings of inadequacy when it comes to the roles I fulfill, or the jobs and tasks I’m assigned, or even in terms of being a good friend. A woman in a church I once attended told me I had no business attempting to speak to a group of women until I had experienced more of life, until I actually had something to say to them that would matter or make a difference. Ouch, right? Harsh? Yes, you could say that. Unfortunately, I allowed that one woman’s opinion to rule my thoughts and my belief system about myself. Too many times, I would second-guess volunteering or stepping into a leadership role because I was “too young to make a difference.” Even when I took the brave step into a leadership position or public speaking, inside, I was riddled with doubt and feared what the other men or women in the group thought of me. So, when I was first approached by someone who was in a position of authority over me, and I learned someone *else* had been spreading lies about me or something they claimed I said, it cut me right to the core. This anonymous individual had asked that his/her name not be revealed, and the authority figure allowed it. Now, this is completely against Biblical policy, which advocates facing your accuser or the one you’re accusing and attempting to resolve whatever issues exist. Then, if the issue can’t be resolved, you bring in a higher authority. You don’t go to that authority first and refuse to face the one you’re accusing. But I wasn’t given the chance to know who said these lies about me or to correct the falsehoods. I was viewed as the guilty party, so I was asked to step down from leadership. Similar experiences happened three more times over the course of fifteen years. Each time, the individual asked to remain anonymous, and the authority figured allowed it. Even when I reminded these leaders that doing so fostered back-stabbing, devious behavior, and dishonesty, it didn’t make a difference. So, I took the bullet and stepped down, closing the door on yet another opportunity to serve where God had called me or where my gifts were best put to use. The most recent instance of this (#5) occurred in my current church. I presently serve on the women’s ministry leadership team, and a woman who’d teamed up with me asked for a private meeting where we could get to know one another and share our goals for this particular aspect of the ministry. That conversation went great. We shared our spiritual gifts, our personality styles, our strengths, our weaknesses, our visions, and many other aspects about ourselves to better equip our collaboration as co-leaders. For the first time in my life, I felt as if I’d finally found someone who shared my passion and vision. Or so I thought. Three days later, the women’s ministry leader asked to speak with me. From her solemn face, I knew something was wrong, but I had no idea what. We went into a prayer room and she lowered the boom. That woman had come to her and completely twisted everything I had said to her in confidence, rewording and intentionally misrepresenting my words in a way that made her look like the saint and me the devious one. The pain of betrayal hurt so much, that I had to close my eyes. My leader asked if what she was told was true, and I told her it wasn’t. She then did what no other leader or authority figure in my life had done in similar circumstances. She identified my accuser, and then she told me she believed in me, saying I’d been serving for several years, and there’d never been a problem until this one woman came onto the scene. For some reason, this woman had made up her mind to vehemently dislike me. I won’t say “hate” since that’s far too strong. But, this woman had been speaking out against me to other women and making it a point to discredit me every chance she had, all in an attempt to take control and boot me out. Hearing what she’d told my leader caused all those feelings of inadequacy to rear their ugly head again. However, having my leader’s support and trust and finally being able to defend myself and know my accuser helped breathe new life into the lies I’d been telling myself for years. Not only did I continue serving in my position, but I gained confidence in my role which has led me to grow my team and this area of ministry in abundant ways. Now, I approach each event I coordinate with my head held high, knowing I am making a difference and I’m impacting lives in a positive way. I’ve always had Jesus in my corner, but it makes a world of difference when your leader also believes in you and promises that she’s “got your back.” Every step forward is a learning and growing process, and I’m still a long way from fully healing from fifteen years of hurt, doubt, pain, and disillusionment, but each day is brand new, and each one brings me another chance to grow. Readers, Amber is giving away your choice of one of her books. You can see them below. In order to be entered she would like you to answer the question below. Please leave your answer by July 23rd at 5:00 PM. Reader question: In what areas do you feel God is calling you to grow? What areas cause you to stumble again and again? Why do you think that happens? Available on Kindle, Nook, and all eBook formats! Book Description: Unlike other young ladies, Charlotte Pringle would rather run her bookshop than pursue eligible gentlemen. But when her parents pressure her to agree to an advantageous match, she fears she’ll be trapped in a loveless marriage. Richard Baxton feels pressure at every turn in the wake of his brother and sister-in-law’s accidental death. Now he’s responsible for the family business and his niece Grace, who is unable to walk. 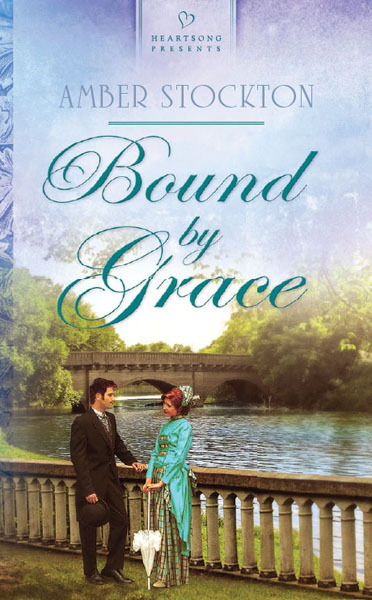 When Grace’s love for books leads him to Charlotte’s bookshop, Richard is drawn to Charlotte’s sweet spirit. But with endless problems on the horizon, will God’s grace enable them to accept the hardship with dignity and strength? 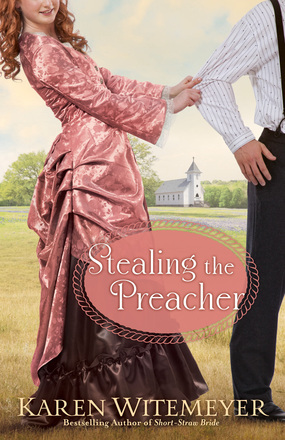 Book Description: When Grace Baxton comes face-to-face with the thief who broke into her uncle’s home, she isn’t prepared for meeting Andrew Bradenton—not a young boy out to cause trouble and no hardened criminal, either. The judge sentences Andrew Bradenton to work for the Baxton family, and being forced to see him almost daily, Grace struggles with forgiveness. Out of guilt, Andrew offers to help Grace search for an heirloom book. 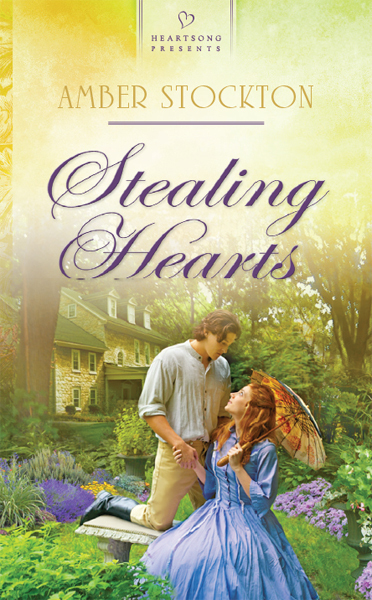 When a handsome stranger appears with the book in hand, warming Grace’s heart and finding favor with her uncle, Grace is torn over her growing attraction for both men. Andrew tries to prove the stranger is up to no good, but after key documents and money go missing from her uncle’s safe, Andrew is seen as the guilty party. Will Grace discover the truth in time? Available at Amazon.com, Barnes & Noble, Christianbook.com, and Harlequin. Book Description: Lillian’s brother has one last request. On a cold April night as the Titanic sinks to the ocean floor, Conrad Bradenton asks his new business partner, Aaron Stone, to fulfill a final wish: that Aaron return a well-worn book to his family and take care of his sister. 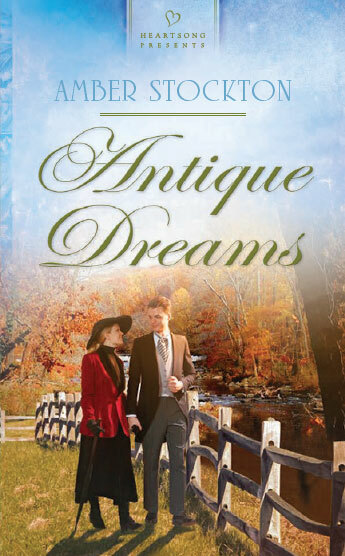 Aaron seeks out Conrad’s family, never imagining the depth of his commitment until he meets lovely Lillian Bradenton. Hit hard by the despair in her eyes, Aaron encourages Lillian to restore her hope by bringing a boarded-up bookstore back to life. Lillian is uncertain whether she can trust this stranger, the last link to her beloved brother. But she has faith in her brother’s ability to read people. If Conrad saw something in Aaron, maybe she will in time. Then Aaron is summoned to London, and Lillian wonders if it is too late to turn hesitant friendship into undying love.